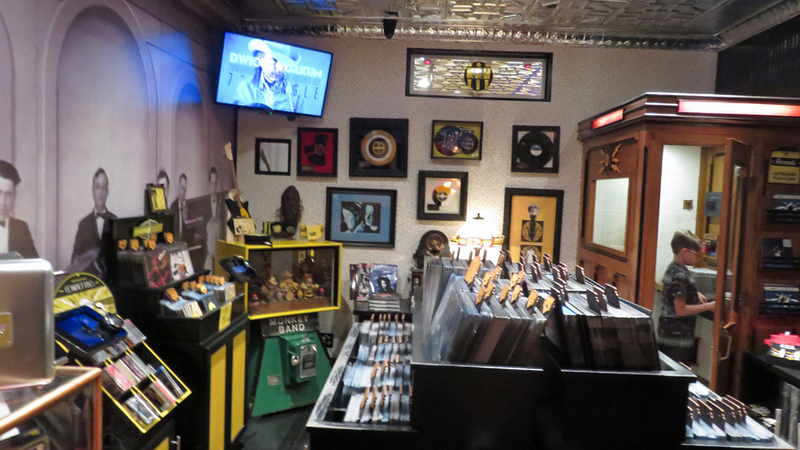 At Third Man Records, You Can Purchase Actual Physical Music – Why Am I Not There? I ended my Nashville trip on an appropriate note with a visit to a record store. 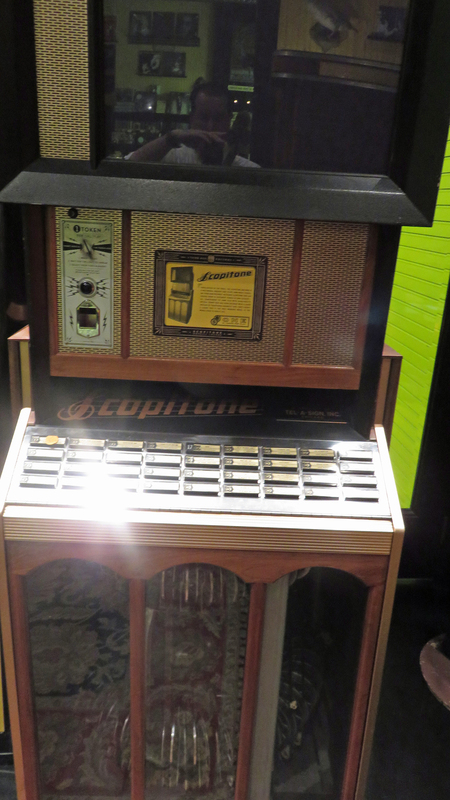 Not just any record store — THE record store tailor made for audiophiles of any genre of music. Jack White’s Third Man Records store in the SoBro neighborhood was founded to cater to vinyl hunters who care sound quality and obscure music. Since it’s founding in 2009, it’s transformed the former warehouse district (that was rampant with abandoned buildings) into vibrant arts, entertainment and restaurant area. I could tell because it took me three laps to find parking. While it’s not a huge warehouse of music, movies and merchandise like Amoeba Music or Rough Trade, it’s a carefully curated space that sells vinyl LPs, EPs and singles recorded and pressed next door at the concert venue. You won’t find the latest releases, just the Third Man Records releases and a few hidden gems from White and his tastemakers. It took some restraint not to get everything of interest, so I limited myself to $100 of vinyl and some Third Man merch. For the vinyl, I picked up live recordings from Beck, Parquet Courts, First Aid Kit, Conan O’Brien, Black Belles, Smoke Ferries and Man or Astroman. In the merch category, I highly recommend a few badges, buttons, a record bag and a turntable slipmat. 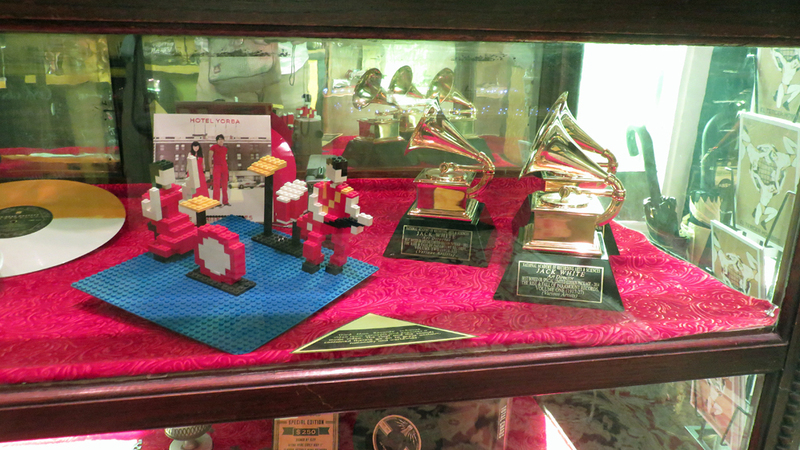 For White Stripes fans, there’s a small shrine to the duo, where you can see their Grammys and Legos from the “Fell in Love With a Girl” girl. 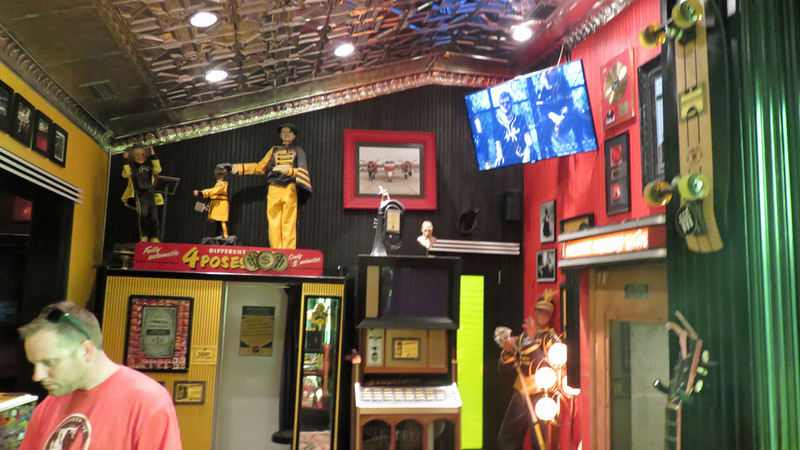 It’s a neat space for browsing leisurely, trying out the jukebox and checking out the memorabilia and record art on the walls. You might even find that under-appreciated old time artists that you can impress your fellow music fans.